IS IT WORTH IT TO WATERPROOF YOUR HOME? Cleaning up your home after a basement flood is not only an expensive repair – it could also take weeks to fix the damage. The estimated cost for six inches of water in a 1,000 square footage home is over $20,000, and your home insurance may not cover the damage. The best method is prevention, and some companies may try to convince you to deal with water intrusion by waterproofing your home on the outside. Professional waterproofing may require excavating to the footing (or the bottom) of the foundation, replacing drainage tile and treating the walls. Proper waterproofing is an involved process. It is very difficult for companies to accomplish this in a timely manner, with minimal damage to property and little or no inconvenience to their customers. 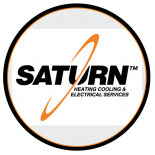 This is why Saturn Heating Cooling & Electrical suggests acquiring an automatic standby generator. Without an automatic standby generator, your chances of returning home to water damage and frozen water pipes after a flood is higher than homeowners who have generators. Even if you have a sump pump or sewer pump installed, you will still need a generator to provide power in cases of a power outage. An automatic standby generator will provide electric services to your furnace, air conditioner, refrigerator and your sump pump even when electricity is not available. Contact us today to provide the right generator to protect your home against flooding.